Meck previously served as EVP and MD at Global Strategy Group. NEW YORK: Global Strategy Group has promoted EVP and MD Tanya Meck to national public affairs and communications business leader. The new role will place Meck at the forefront of GSG’s "growth strategy," which covers the firm’s national brand, New York and Washington, DC, public affairs and communications practices, digital strategy, and business development, according to a statement. Meck said strategic consulting will continue to be a part of her job description. She is reporting to Jon Silvan, founding partner and CEO. Aside from physical expansion, Meck said she wants to offer clients more integrated services because they "come to us with business problems," and "what they’re expecting us to do is put together the right team with the right services." During Meck’s tenure, GSG has added clients such as Airbnb, Valeant Pharmaceuticals, and PhRMA, and the firm has grown its relationships with the Rockefeller Foundation, ConEdison, and Pershing Square Capital Management. Meck called her background "eclectic" since she has experience working across a number of industries for clients through the years. She added that having the opportunity to grow with GSG has afforded her a unique grasp of "how other offices interact," which has made her appreciate the agency’s culture. Meck will divide her time among the firm’s Connecticut, New York, and Washington, DC, offices. "So many of us [at GSG] came from the [political] campaign world [and] it’s very much a campaign approach," Meck said. "At the end of the day, we have a goal and there’s something we want to win, so to offer those integrated services is a huge benefit because that’s what our clients have been asking for." Before joining GSG in 2011, Meck was Northeast Utilities’ communications director. 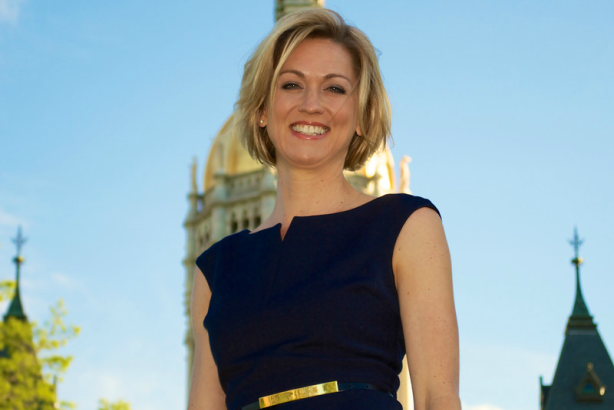 She also previously served as assistant secretary and chief of staff for the State of Connecticut, according to her LinkedIn profile.